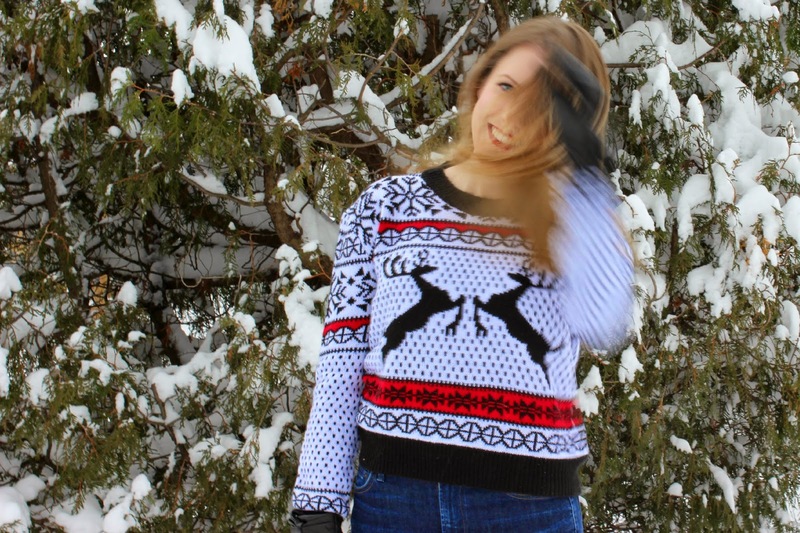 Home / christmas sweater / ootd / snow / "Snow provokes responses that reach right back to childhood." 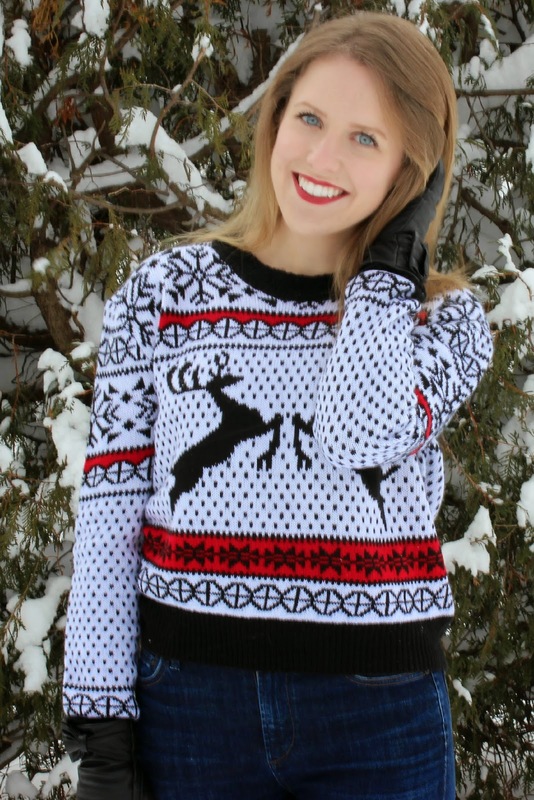 Today is (apparently) Christmas Sweater Day! I don't know if this is really a thing, but I'm all for gimmicky celebration days! My dad is insane on a good day, but extra so around Christmas. He was out shopping yesterday, and came home with this sweater for me. 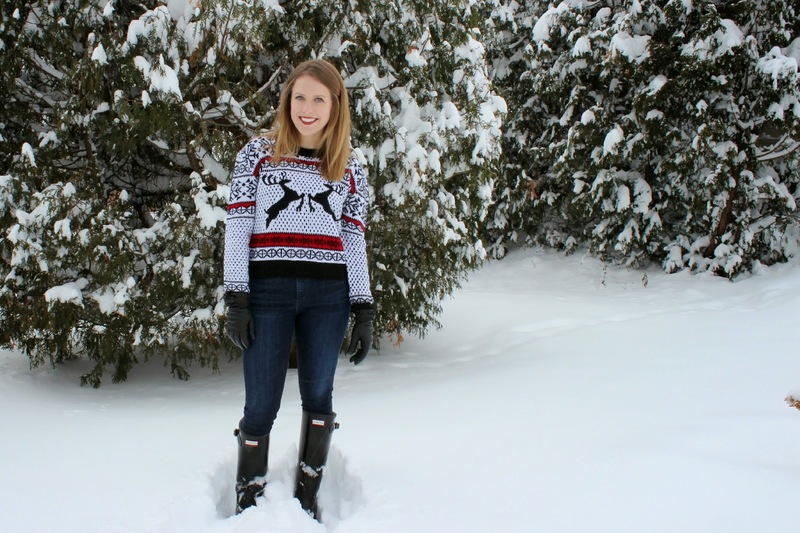 It's cute, whimsical, and perfect for the holiday season. And the best part? It's only 25$. How cute? So today I trudged out (ok, it was only into my backyard) to get some pictures. They didn't turn out great (as you can see by my hair, it was really windy and cold). 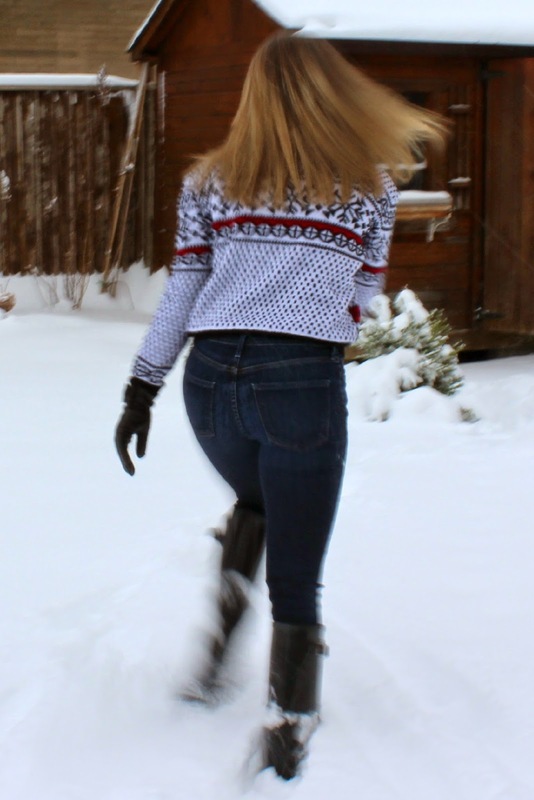 But I love playing around in the snow nonetheless! 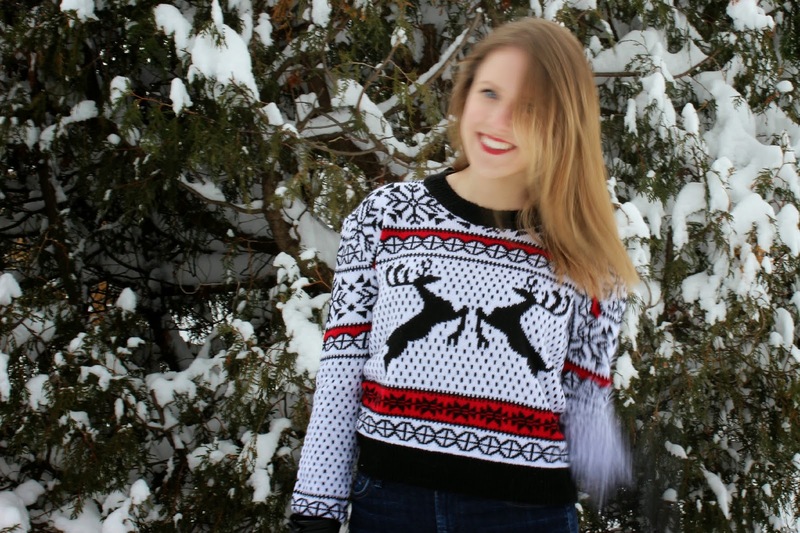 Are you wearing your cute/ugly Christmas sweaters today?